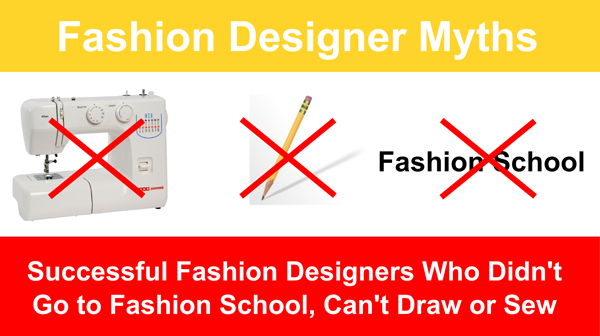 Often aspiring designers let things hold them back from going after their fashion dreams. After all, it is only human nature for many of us to go down the path of least resistance. We often talk ourselves out of doing things and can give a million reasons why we believe we are correct. Why is that? The main reason is we like comfort. Anything that takes us out of our comfort zone we see as dangerous or that the mountain to get there is too high to climb. We see too many obstacles standing in our way. But in this piece I want to look at a few fashion designers who didn’t let their lack of fashion training, drawing skills, ability to sew or the fact they didn’t go to fashion school deter them. The list of successful fashion designers that did not go to school includes some of the following names: Sean “P. Diddy” Combs, Kimora Lee, Nicky Hilton, Rachel Bilson, Mark Ecko, Jay Z, Justine Timberlake, Jennifer Lopez, Russell Simmons, Victoria Beckham, Kate Moss, Colin Heaney and we can’t forget Damon John of Shark Tank. Some of the people listed above may have already had money or been famous when they started. That is true but for some like Damon John he started from the bottom and worked his way up. He only went to fashion school for a year before launching his hat and t-shirt business that eventually turned into a multi-million dollar fashion empire. Then there is Charlotte Beecham of Charlotte Simone. She is a 27 year old fashion designer from the UK who never went to fashion school, could not sew or draw when she started out. Her story is fantastic because it breeds what we advise our StartMyLine.com Clients which is to start small with a couple of styles and grow from there. For one it is cheaper to do it this way and for two you can specialize in something and become great at it. Damon John did this with hats and Charlotte did it with her line of gorgeous statement piece scarfs. Charlotte has managed to grow her brand into a multi-million dollar a year business with her line being sold in many high-end retail outlets according to an article posted on Bloomberg.com. Next take Donna Ida Thornton, Britain’s jeans queen, who took her love for designer denim and turned it into a global fashion powerhouse. According to an article on DailyMail, she arrived in London at the age of 25 (now 43) with no fashion experience at all. We also can’t forget fashion designer Leah McSweeney of Married to the MOB. She also didn’t go to fashion school or have a fashion background but turned her love for t-shirts into a multi-million clothing company. There are many other success stories of ordinary people that decided to pursue their fashion ambitions such as one of our StartMyLine.com Alumni Misha Mendicino of Mendicino Designs. 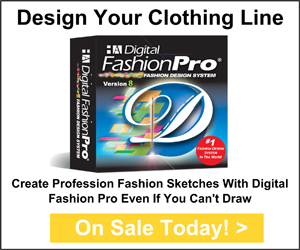 With fashion business tools like Digital Fashion Pro and The Fashion Mogul Edition, aspiring fashion designers can get a head start by being able to create their own fashion sketches even if they can’t draw and get detailed advice on launching a fashion label. At the end of the day, what all of these designers have in common is that they didn’t listen to the voice in their head telling them what they couldn’t do. They fought through their fears and let their persistence and passion be their guiding force as they decided to not try is to fail. StartMyLine.com - a division of StartingAClothingLine.com - helps aspiring fashion designers start & design their own clothing lines. Our unique fashion business tools which are used by countless fashion designers, fashion labels, schools and beginners worldwide help our clients with designing their lines, manufacturing it and enhancing their business operations.